The #EBRD has recently published a list of #gas #importers to #cooperate with #Naftogaz following the #pre-qualification process for the #procurement of #natural #gas for the #heating season 2017-2018 at the expense of a 300 million US dollar EBRD #loan. The #prequalification of potential natural gas #suppliers announced in the first quarter of 2017 closed on 18 April 2017. The European Bank for Reconstruction and Development (EBRD) has published a list of gas suppliers that have been pre-qualified to participate in tenders for the procurement of natural gas organized by the state-owned Ukrainian energy company Naftogaz. The prequalification round announced in the first quarter of 2017 closed on 18 April 2017. However, in order to maximize the number of eligible suppliers, the prequalification process will remain open for new applicants throughout the duration of the loan facility. Prequalification is a compulsory procedure before an invitation to tender for the procurement of natural gas to be consumed during the heating season 2017-2018. The procurement of natural gas at the expense of the EBRD is supposed to be carried out between 15 May 2017 and 20 January 2018. Three companies have been unconditionally prequalified: CEZ A.S. (Czech Republic), ENGIE SA (France) and Polskie Gornictwo Naftowe i Gazownictwo Spolka Akcyjna (Poland). The companies that have been conditionally prequalified include Axpo Trading AG (Switzerland), EDF Trading Limited (Great Britain), Eni trading & shipping S.p.A (Italy), Handen SP.z.o.o (Poland), RWE Supply & Trading GmbH (Germany), Slovensky Plyarensky Priemysel s.a. (Slovakia), Uniper Global Commodities SE (Germany), VNG Slovakia s.r.o (Slovakia), PGNiG Supply and Trading (Germany) and joint applicants Hungarian Gas Trade Ltd (Hungary) and MFGK Slovakia s.r.o (Slovakia). 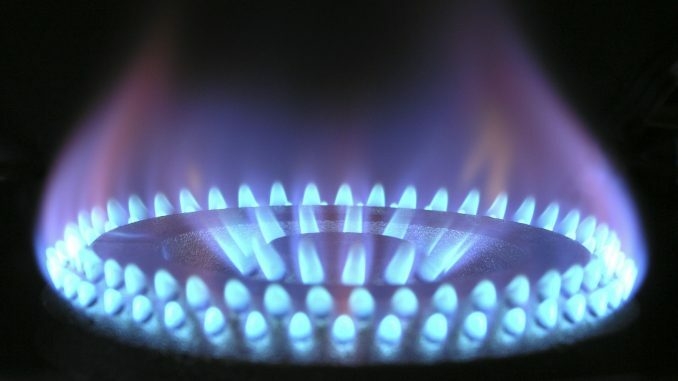 For the heating season 2016-2017, the EBRD had also granted Naftogaz a 300 million US dollar loan for the procurement of natural gas from European suppliers. For comparison purposes, in 2016 13 companies passed the pre-qualification process. In 2016, Naftogaz imported 8.2 billion cubic meters of natural gas from Europe, which is 1 billion cubic meters (11%) less than in the previous year.